Since 1973, our goal has been to provide the youth in our community with the opportunity to play the beautiful game. 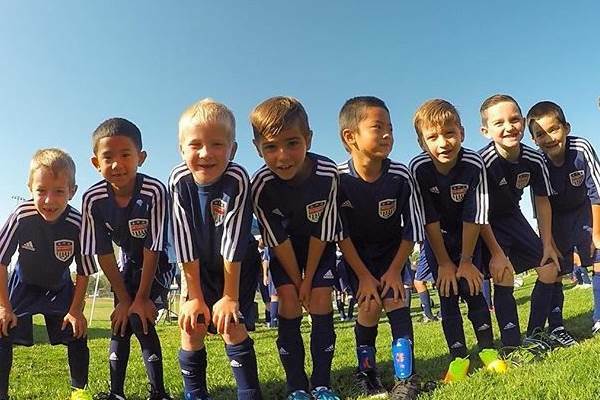 Our club is growing and our various programs offer children with a positive playing experience that helps them grow as individuals as well as athletes. Today, we ask for a donation to help us extend this opportunity to even more children in our community. By donating, you can help us bring more children onto our soccer fields and positively impact their lives for years to come. We also participate in the Amazon Smile program. Amazon.com will donate a percentage of your purchases to our club, all year round. 1. Click here to visit the Amazon Smile portal. 2. Connect your Amazon username (or create a new account) with our club. 3. Always start your Amazon shopping from the Amazon Smile portal at Smile.Amazon.com. You may also call our office at 925-973-0535 to discuss additional ways to give. We have fundraisers during the year. Sponsorship opportunities exist for local businesses too. Together, we can provide children with an opportunity to play, learn, grow and have fun. Together we can grow the game in our community.